UNCERTAINTY hangs over the future of bond notes and real time gross settlement (RTGS) transfers, as more businesses are rejecting the two payment methods and the economy is effectively re-dollarising. 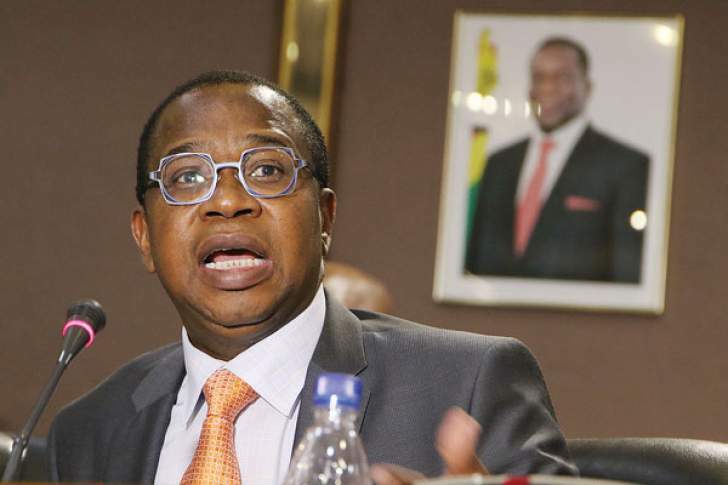 This comes against the background of conflicting signals by senior government officials, particularly Finance minister Mthuli Ncube, that have fuelled Zimbabwe's sky-high parallel market rates, price increases, commodity shortages and temporary company closures. As such, industry remains convinced that South Africa's rand can be a short-term measure to arrest the situation. Alex Magaisa, a British-based academic and lawyer, is among those convinced that bond notes and the RTGS system were headed for a similar fate as the decommissioned local dollar. "The country is on the road to dollarisation although the government has not formally said so. When asked when government would accept the reality of the devaluation of RTGS and bond notes, Minister Ncube pointed out that the market was already doing the job," he said after attending Ncube's Chatham House presentation Monday. "Government knows RTGS and bond notes are losing value, but it's happy for the market to finish them off … RTGS and bond notes are going down the Zimbabwe dollar way like in 2008," Magaisa said. "Government will be like the priest at a funeral, it will read the last rites," he added, saying further that Ncube had a "tough job reviving an economy that is comatose". Busisa Moyo, United Refineries chief executive, had earlier said with the local economy "re-dollarising", it was likely that businesses would soon start rejecting RTGS transfers for goods and services. "By introducing FCAs, the economy is re-dollarising. It is likely businesses will not accept RTGS as tender for settling obligations forthwith," he said on social media while commenting on recent fiscal and monetary policy announcements by authorities. "The $10bn of RTGS will now be abandoned as being valueless. And we start again as we did in 2009. This is the harsh reality!" Moyo said. Denford Mutashu, the Confederation of Zimbabwe Retailers (CZR) president, agreed with Moyo, saying the economy had been dollarised again — as had been the case in 2009. "In a way, we have re-dollarised. The moment accounts are separated, the one with the bond note or RTGS suffers. This is what is happening, and so we have seen informal traders and foreign owned retailers demanding the US dollar," he told The Financial Gazette. "To counter this, retailers have resorted to rationing goods in the hope that this will help them manage panic buying," he said, adding that the steep decline of RTGS transfers and bond notes against the American dollar meant that supermarkets were battling to recover costs. Economist Eddie Cross, who has previously warned of a looming economic security situation, said the country was only going to return to normalcy once a new currency was in place. Earlier this week, Confederation of Zimbabwe Industries president Sifelani Jabangwe told the Daily News that some companies — including Dusk Home, popular eateries St Elmos, Teta, KFC, Corky's and Tin Roof — were temporarily closing down to assess the price situation. "Once there is a new policy announcement … companies take time to review the impact on their operations and profitability in the short to long term," he said, adding that businesses were "praying" for parallel market rates to taper down as time progressed. "The open market rates are a major cost driver and as companies also seek to maintain stocks, they end up getting foreign currency at higher premiums which have resulted in spiralling prices. "The biggest policy that industry has been (digesting) is the (two percent) tax (implication)… hence some have been holding on to their supplies. "But overall, the economy is not bad, the $500 million nostro stabilisation facility will also go a long way in stabilising the current situation," Jabangwe said. Chris Mugaga, the Zimbabwe National Chamber of Commerce chief executive, is among those who fear that electronic money transactions "will be dead by year-end". "I have told you that inflation is … above 20 percent (and) swipe days are numbered. Shops are going to start rejecting swipe payments very soon because of the parallel market rates," he said recently. Steve Hanke, a renowned economics professor, said excessive government controls were wreaking havoc on markets. "RBZ has taken over the allocation of foreign currency to buy goods, leading to essential drug shortages. Drop the new Zim dollar (bond notes) … and dollarise," he said. And as the tide of hard cash demands sweeps across Zimbabwe, medical service providers, airlines and fuel retailers have started charging in greenbacks. While bankers and financial analysts have expressed reservation about the practicality or feasibility of Harare's desire to re-dollarise, given the shortage of cash to sterilise the RTGS balances, rates — at 400 percent-plus — have been worsened by Ncube's intermediate plans to "designate certain deposits as hard currency and RTGS balances by a certain date". In addition to the confidence-induced currency and commodity supply problems, manifesting themselves through hoarding and rationing of products, the country is also struggling with fuel shortages and general uncertainty. However, the downside of such policies is that it is also hurting businesses' revenues. Meanwhile, Zimbabwe Revenue Authority commissioner general Faith Mazanhi says forex levies on imported luxuries and trinkets such as supercars "would only be fair". "We need forex for government. We don't want to use that forex on luxuries, so … if people are using that (kind of) money (then) they can pay in foreign currency. "That is my personal opinion because forex is needed for essential medicines, fuel and other things," she said, stressing though that "there was no official communication or directive to that effect".